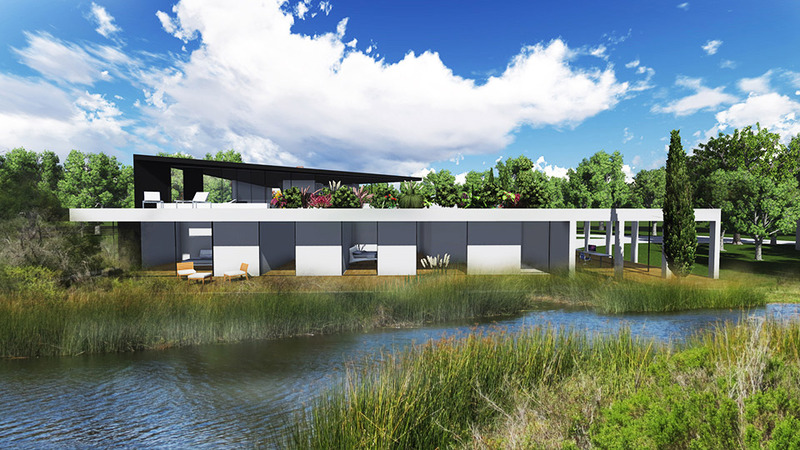 This 4 bedroom luxury home was designed to blur the lines between the internal and external. The approach to the building is held by an enormous gateway that is directly inspired by Egyptian architecture and the ancient gateways found in Cairo and along the Nile. The Ground floor is split into 3 clear zones: Live, Work and Sleep, with an ascending courtyard that bridges these spaces together. 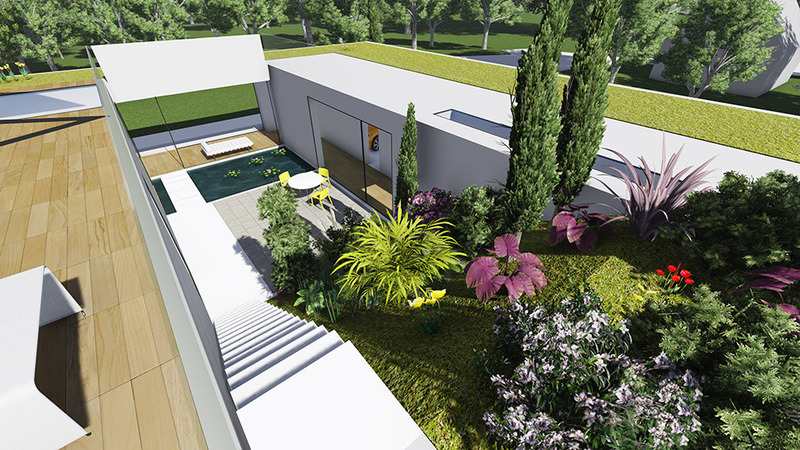 This courtyard is flooded with a sloped green garden that draws the user up on to the first-floor living deck. 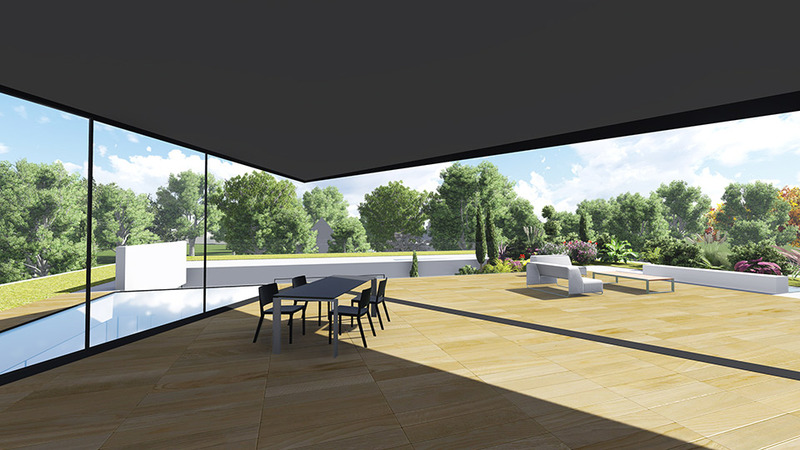 The living space is designed from the purest form (the black triangle) and is made from taught steel and glass, this space that completely opens up in the summer to allow the kitchen and living spaces to merge with the huge open terrace, again blurring the lines of inside and out. 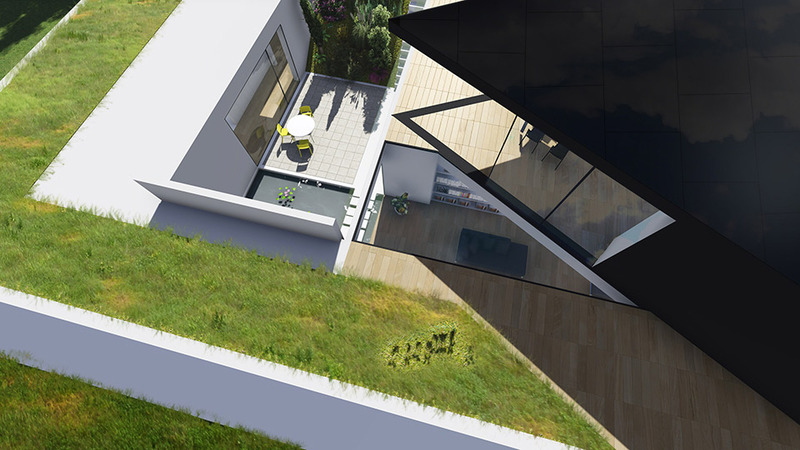 Finally, the User is led through the monolithic black triangle and up onto the highest terrace (2nd Floor Level), this takes you high up above the landscape which is framed around the dynamism of the triangles 3 perfectly equal sides. “One generation plants the trees, another gets the shade.